Have you ever wondered how some of the brands and logos you’re most familiar with look like around the world? Or even things such as the Facebook “like” or the Twitter “follow” buttons? Here are just a few to get you started. In the comments section below, share photos of well-known brands and logos as they appear in different parts of the globe. Enjoyed this post? Like it and share it on Facebook! 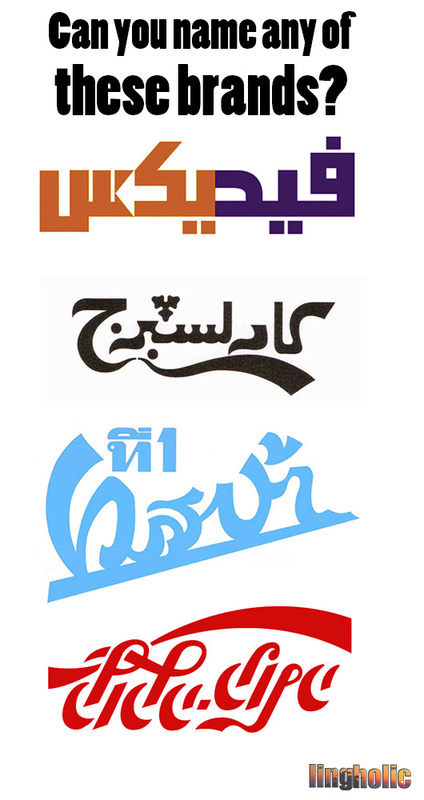 I do not own any rights over these logos. No copyright infringement intended. I think that the first one is FedEx, and the third one is Vespa. In which languages are they? Nice list. 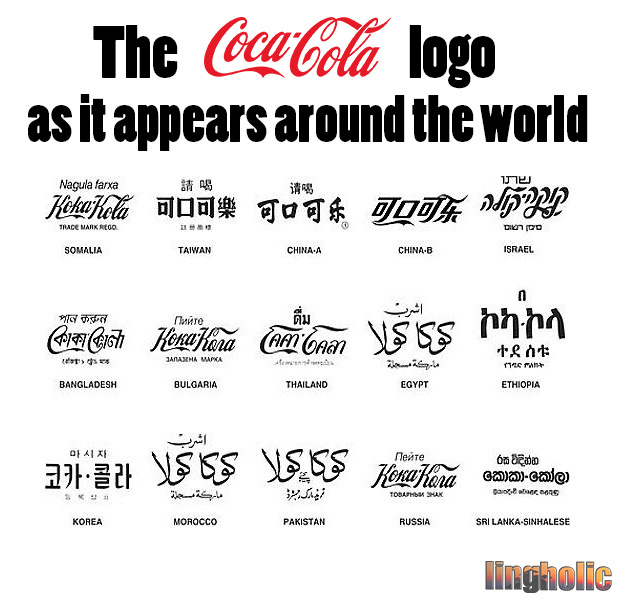 It’s very interesting to see Coca-Cola’s logo changes according to the language.